The Baja California peninsula is a truly fascinating place to visit. There is plenty to see and do on a trip to the area, with the region boasting stunning coastline and incredible cultural landmarks such as cave paintings thought to be between 2,000 and 7,500 years old. However, a visit to Mexico is about more than just seeing the sights and attractions – it is chance to immerse yourself in traditions which date back a number of centuries. An array of awe-inspiring festivals are held throughout the year in the country, with some being inspired by important moments in its history and others linked to ancient traditions. The Mexican festival, which arguably, has the biggest reputation across the globe is the incredible “The Day of the Dead” – El Dia de los Muertos – a tradition held across several days at the end of October and the start of November. While the name may give it a ghoulish feel, the festival itself is a very positive colorful affair and is held to recognize and celebrate the lives and contributions of those who have passed away. Traditions linked to the festival include families preparing the deceased’s favorite food and placing it either at an altar in the home or by their grave alongside flowers and other items. Thought to have origins that go back to the Aztecs around 3,000 years ago, the Day of the Dead is recognized by UNESCO on the list of ‘intangible cultural heritage of humanity’ and continues to have major significance to Mexican communities across the world. It has also been an inspiration in a range of areas, with perhaps one of the most notable recent examples being the use of a Day of the Dead parade as the backdrop to the thrilling opening sequence of the last James Bond outing Spectre, which was released in 2015. In a bizarre twist, however, the parade was actually created specifically for the movie and then only became a real-life event after its huge success, with the move being condemned by critics as a stunt which cheapened the true meaning of the festival. Nevertheless, the iconography related to the Day of the Dead has also been adopted in other areas such as gaming. For instance, the popular adventure game Grim Fandango borrows heavily from the Aztec belief system and features examples of calaca – skeletal characters that resemble the dolls or figures used in Day of the Dead celebrations. Similarly, the game Guacamelee! is set in a world inspired by Mexican folklore, while Microgaming’s Beautiful Bones slot, which is available on sites such as Betway Casino, makes use of the sugar-skulled imagery synonymous with the event. Finally, the festival had a key role to play in the plot of the Disney Pixar animated adventure Coco released in 2017, in which a young boy is transported to the Land of the Dead and has to find his way back. So, while it is clear that the Day of the Dead festival has a growing profile across the world, just what is the celebration like for both those living in Baja California and visitors who may head to the region for the festival? Well, the general consensus appears to be that you should not expect anything too over-the-top, with BajaInsider.com outlining how the event tends to stay truer to its more low-key and family-orientated roots on the peninsula. However, that does not necessarily mean there are no events for visitors to enjoy during their stay. While Baja.com suggests that Oaxaca probably leads the way when it comes to celebrations linked to the Day of the Dead, there are areas on the Baja peninsula that are well worth a visit during the festival. 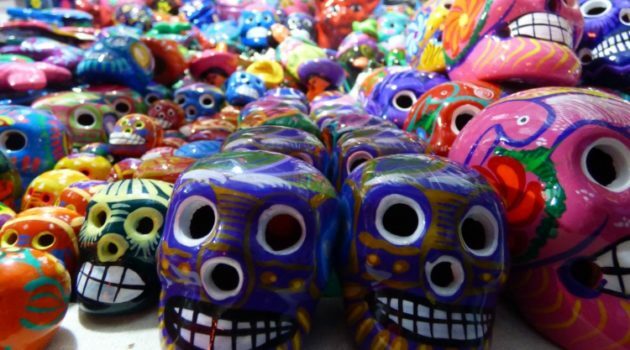 The likes of La Paz and Tecate tend to hold events related to it, while Ensenada has also become synonymous with ornaments and other decorations inspired by the celebrations. Of course, if you might be feeling downhearted at the news that Day of the Dead is not a huge action-packed thing in Baja, you can rest assured that, while the festival has the biggest global reputation, it is one of many important holidays in the Mexican calendar. Carnaval in February is a particularly big deal, with it being a close relative to Mardi Gras in New Orleans. The festival is held as the last chance for people to indulge ahead of Lent when many will be encouraged to give up certain foods or other habits for the period. As such, it tends to lead to wild celebrations across the country as a whole including in Baja, with La Paz once again being a hive of activity. In addition, the country’s Independence Day on September 16th is also marked with major celebrations which simply should not be missed. However, visitors to Mexico should be wary not to hedge their bets specifically on the festival of Cinco de Mayo. Held to mark the country’s victory over the French at the Battle of Puebla, the famous event is actually only a small-scale celebration in Mexico and is, bizarrely, actually a bigger deal in the US. Mexico as a country is world-famous for its dazzling festivals and it is safe to say that, when it comes to global reputation, the Day of the Dead is truly hard to beat. The festival and many others are a huge part of the culture in Baja California and beyond so a trip to the area is an ideal opportunity to immerse yourself in tradition and get a real feel for life in Mexico.